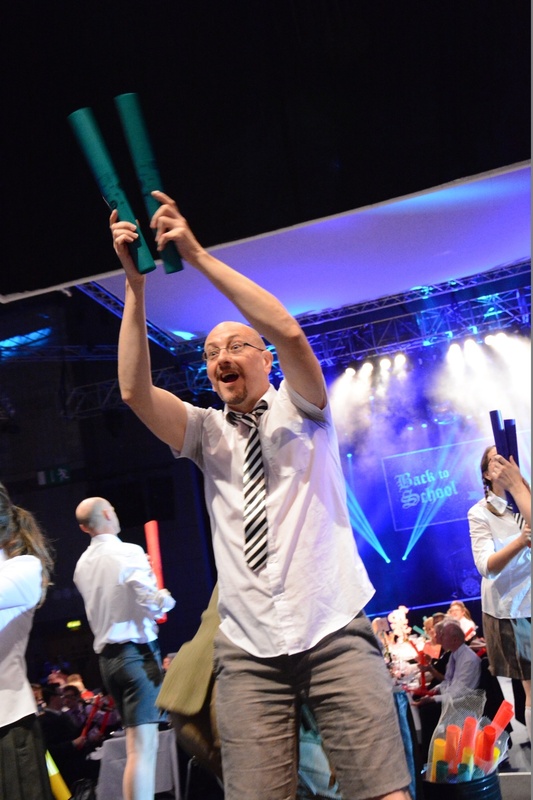 The enormous Boomwhacker Ice Breaker session for the RailStaff Awards at the Birmingham ICC involved 1000 guests participating. You might be mistaken for thinking that the sheer scale of this event was what made it so unique - well how about dressing all the guests as school children; encouraging them to act like school children (pea shooters provided) and dressing our lead facilitator Steve Rivers as a music teacher! Not quite unique enough? 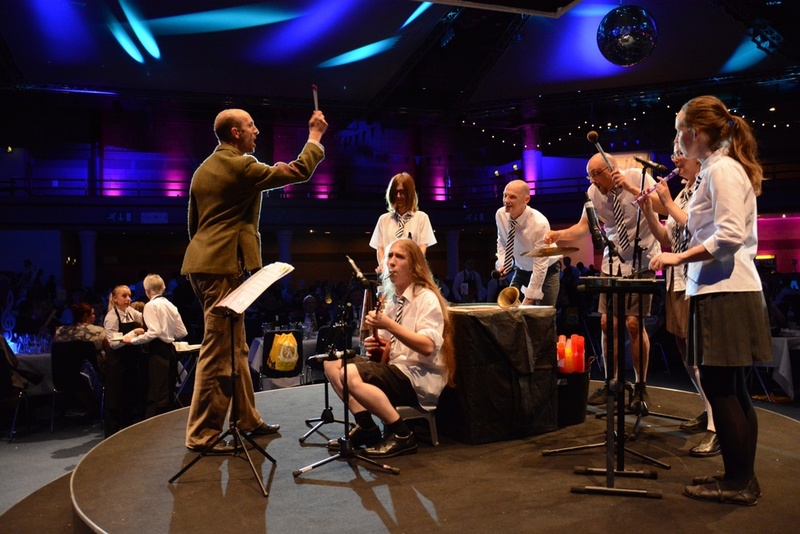 Okay - how about adding to this bizarre set up a school band to accompany music teacher Mr. Rivers (care of the the Unbeatable Energy team in costume), who provide a pre-session performance of the 'Grange Hill' theme tune on glockenspiel, ukelele, casio keyboard, kazoo, floor tom tom and crash cymbal! I think you must agree - this event would easily win first prize for Most Bespoke Event! The RailStaff Awards started in 2007 with an aim at recognising the great work that the people working in the rail industry do. A few years ago, as a result of becoming tired of the usual corporate 'black tie' dress code, they chose a fancy dress theme as a great way of creating fun for their guests - many of whom would feel under pressure to cover the cost of buying or hiring expensive 'black tie' dinner ware. Their first awards event was themed as 'Halloween'. They weren't sure if any of the guests would take to the idea but it was extremely successful. Blown away by how well the guests had embraced the idea, they continued into the next year with an Al Capone style Prohibition theme. 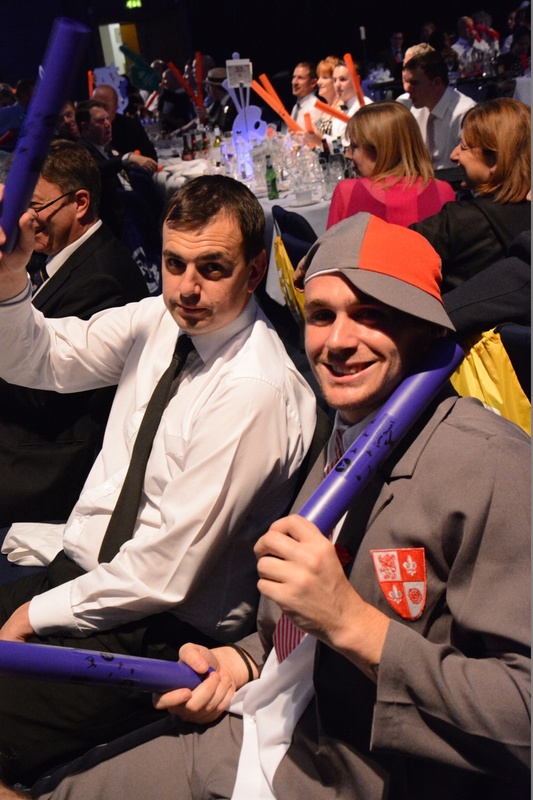 Finally this takes us to this year's RailStaff 2013 Awards with the 'Back to School' theme. Can you imagine what it must be like to teach a class of 1000 students? It's not easy! But 'ah,' you say, "they were not real school children but adults dressed up!" Wrong - we reckon everybody is a school pupil at heart and these guests seemed to have no trouble fitting into their character roles! The photos of the atmosphere and fun of the occasion says it all! Unbeatable Energy would like to thank RailStaff and Rail Media for involving us in their fantastic unique event. Rail Media were an absolute pleasure to work with throughout the preparation process and on the final day!